Jerusalem (AFP) - Israel ordered the country's goods and people border crossings with Gaza to be opened on Sunday, just four days after shuttering them following a Palestinian rocket attack that sparked retaliatory air strikes. The move followed efforts to prevent an escalation in violence that has raised fears of a new war between Israel and the Palestinian territory's Islamist rulers Hamas. "The decision comes after a decrease in the violent events in Gaza over the weekend and efforts Hamas made to restrain" demonstrators, Defence Minister Avigdor Lieberman's office said in a statement. Israel in any case holds Hamas responsible, as Gaza's de factor rulers, for all fire from the territory regardless of who launches it. Near daily protests along the Gaza border since March 30 against Israel's crippling 11-year blockade of the impoverished enclave have sparked repeated clashes with the army. On Friday, thousands again gathered for protests in northern Gaza, but demonstrators largely remained at least 100 metres (yards) from the border. 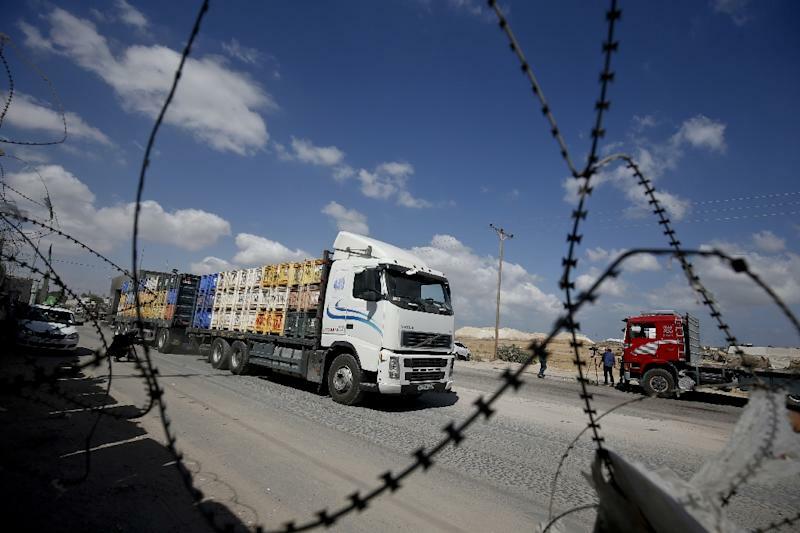 Israel on October 12 already suspended the delivery of fuel for the Palestinian territory's power plant that had been trucked daily into Gaza under a deal brokered by the United Nations. A decision on renewed fuel deliveries "has been put off as for the time being and will be examined in a number of days based on events", Lieberman's office said Sunday. On Friday, UN envoy Nickolay Mladenov also urged all sides "to exercise restraint, to proceed in a peaceful manner, and to avoid escalation".